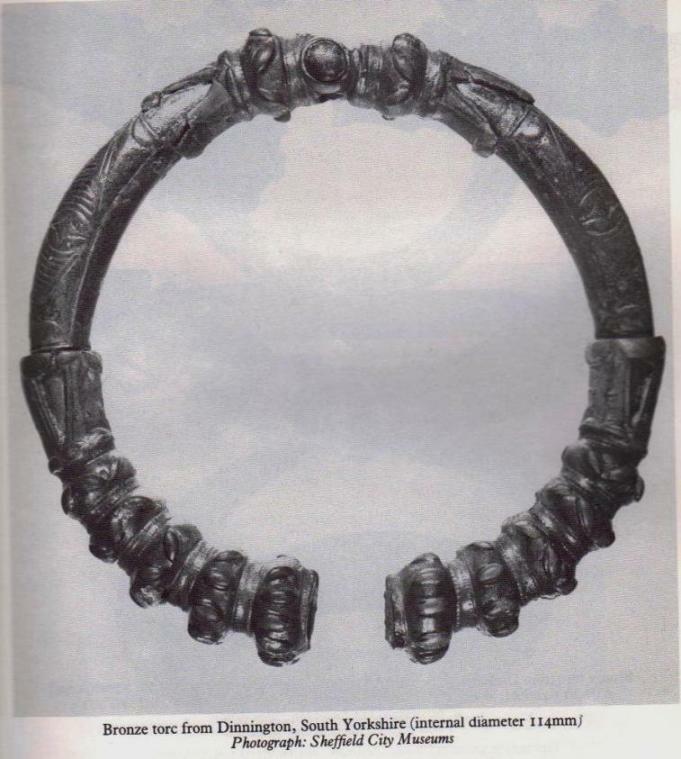 In August, 1984, a Mr James Rickett was out with his metal-detector, scanning the Swinston woodland area south of Dinnington, when he was fortunate to locate a superb, ornamental ‘Celtic’-design bronze torc, thought to be of Romano-British origin, and believed to have been made in either the 1st or 2nd century AD. Following Mr Rickett’s discovery, a small team from the Sheffield City Museum and the South Yorkshire Archaeoloogy Unit got off their backsides and did a survey of the region where the torc had been found —and they weren’t to be disappointed! Beswick, Pauline, Megaw, M.R., Megaw, J.V.S. 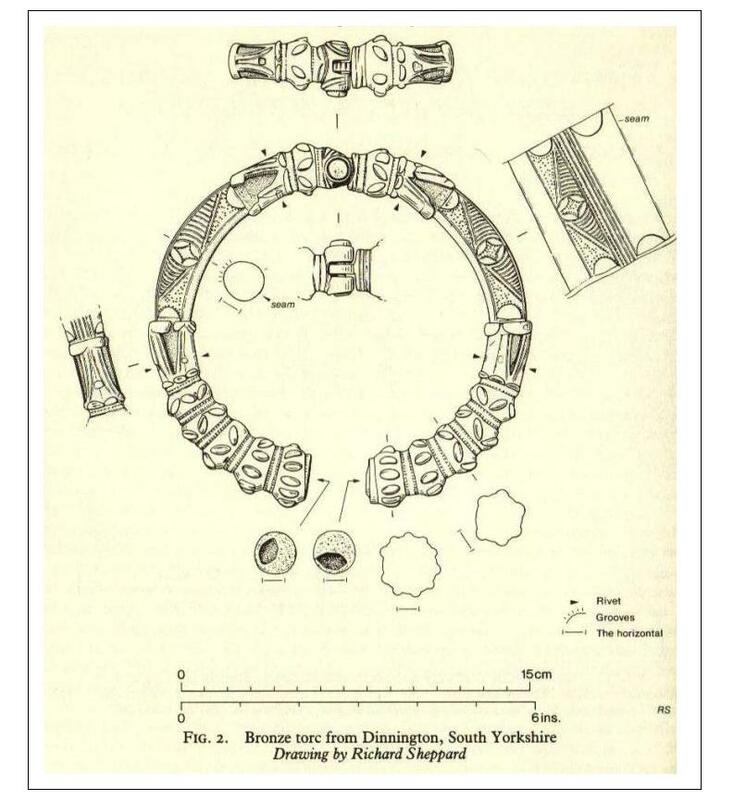 & Northover, Peter, “A Decorated Late Iron Age Torc from Dinnington, South Yorkshire,” in The Antiquaries Journal, 70:1, 1990. This entry was posted in Brigantia (Northern England), Settlement/Enclosures, Yorkshire, South and tagged Anston, antiquities, Archaeology, Celtic, Celts, Dinnington, enclosures, Gildingwells, Iron Age, Romano-British, settlements, South Yorkshire, Woodsetts. Bookmark the permalink.